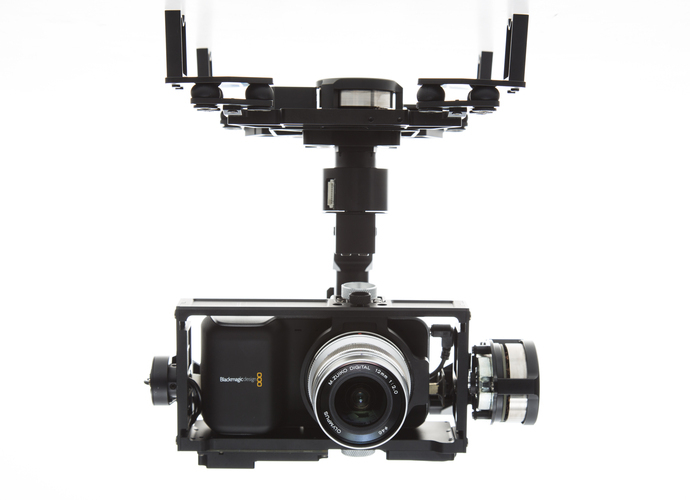 The DJI Zenmuse Z15-BMPCC gimbal represents a breakthrough in Zenmuse precision, offering a control range of just ±0.01°. Used with a DJI A2 professional flight controller and a professional DJI aerial system, it will keep the BMPCC stable and controllable even in strong winds or intense maneuvers. Used with the DJI Lightbridge full HD digital video downlink, it is a Total Solution for aerial photography and cinematography.